The material is easy to manage, color accurate, and wear resistant, providing excellent strength and polishability at a reasonable price. The manufacturer only sells direct to the clinician, thereby providing these products at the lowest possible price. 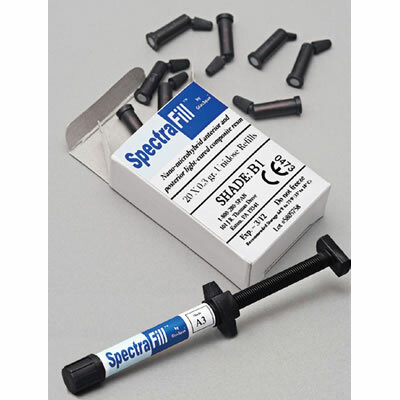 SpectraFill is available in both 4.5 g syringes as well as convenient 0.3 g unidose dispenser tips.